I just can’t get enough of this place!! I don’t even know how to describe it, there is nothing else like it! 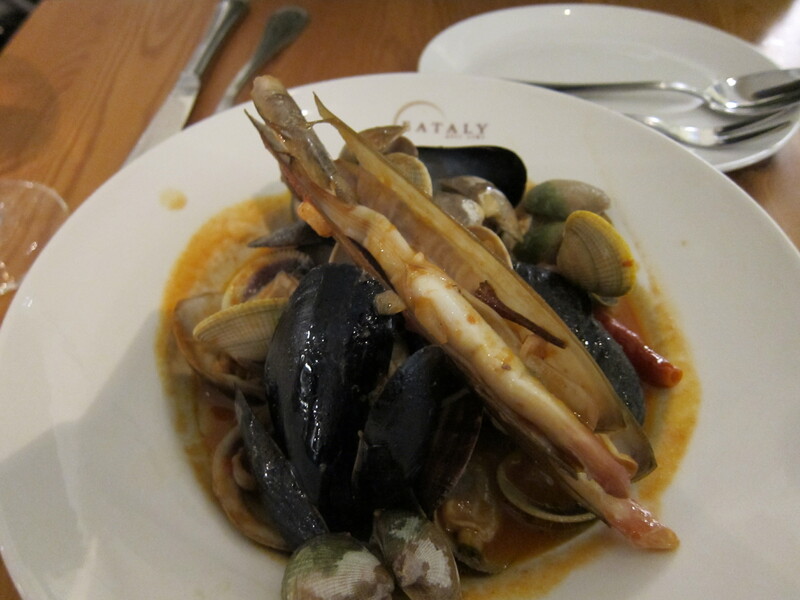 Eataly is a 50000 sq ft gourmet grocery store/restaurant/bar/cafe all in one, and as they say “They cook what they sell and they sell what they cook.” It is owned by famous chef Mario Batali, Joe Bastianich, Lidia Matticchio Bastianich and Eataly founder Oscar Farinetti. 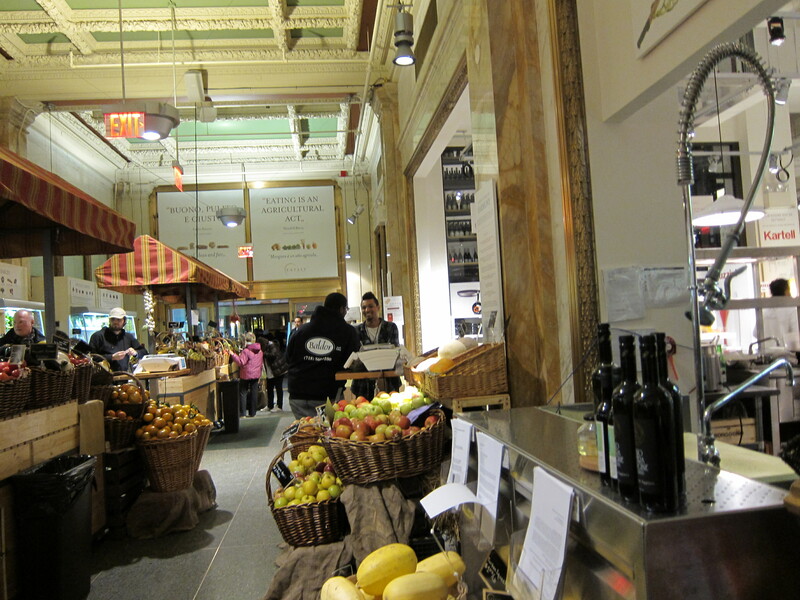 At Eataly you can buy a glass of wine and walk around the store and shop till you drop while sipping your Montepullciano. 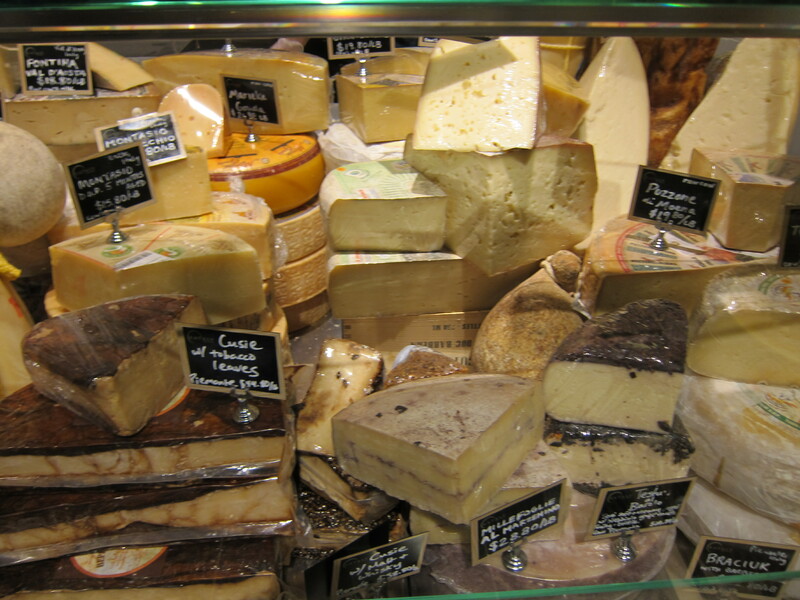 You can have a pistacchio gelato, buy torrones, and ricotta salata made with local milk from local farms. Then, sit down and enjoy fresh tagliatelle with winter black truffles’s butter. 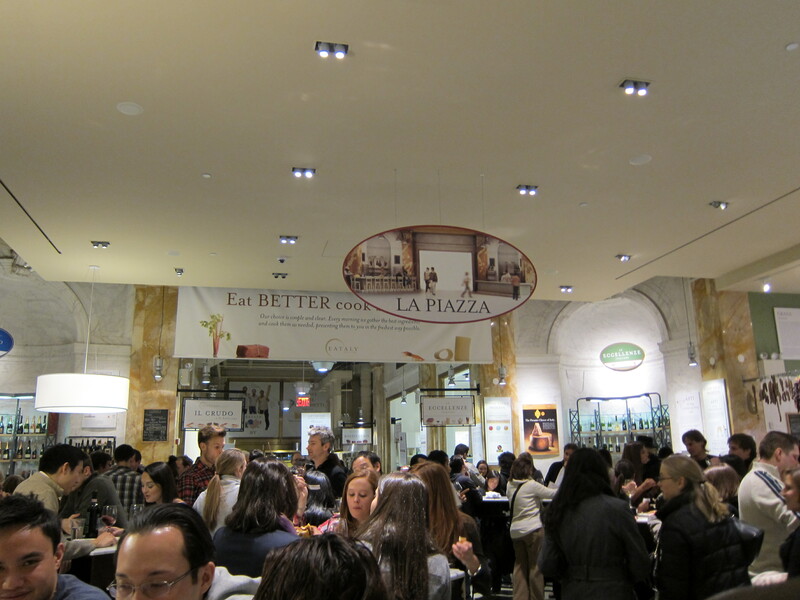 When you are done eating and shopping, go up to the rooftop and listen to live music and enjoy the view of the Flatiron Building while you have a cold italian beer at their new area – the Birreria. TIP: It is always packed with people, it doesn’t matter what time if the day you go, but try to avoid weekends after 11:30am and weekdays after 5pm.If you want to have lunch on a Sunday keep in mind that the law prohibits serving alcohool before 12pm. According to the server, this law is aimed to assure people go to church on Sunday mornings. As soon as you get there pick which station you want to eat at and put your name on the list, since there might be a two hour wait for a table.